Today, almost everyone is looking for best ways to lose weight and become healthy and fit. This article will help you out with the best homeopathy medicines and remedies for weight loss or obesity. People who are more comfortable with lesser movements, unhealthy and plentiful eating habits without doing enough physical activities to burn calories are more prone to obesity. These habits allows fat to stock and pile up within the body. After some time, burning calories and fats become very difficult for them and thus they grow in to an obese person. Some people also grow obese due to hormonal disorder and also due to slow metabolism. Depending on other symptoms of the patient, choose the right medicine wisely and use it as required. Constitutional treatment helps in such cases. Regular exercising and consuming food as required is very essential in such cases. For preparing a diet chart, patient can consult from a calorie chart widely available in the market. Also consulting a professional dietician also should help. 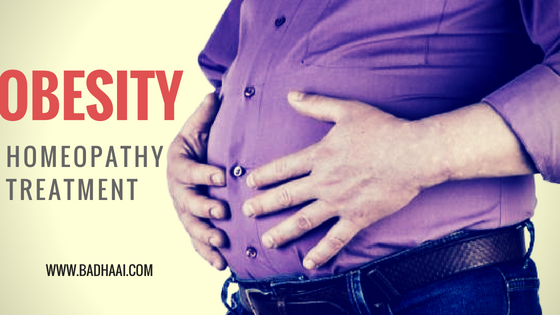 In some cases, obesity is also a result of Hirsutism, mental disability or due to hormonal disorder. To be able to detect such causes, one should get tested from a good diagnostic lab and take medication accordingly for better result.